This is sponsored post in collaboration with Rexona. The age old question – what on earth do you buy for a man who has everything? 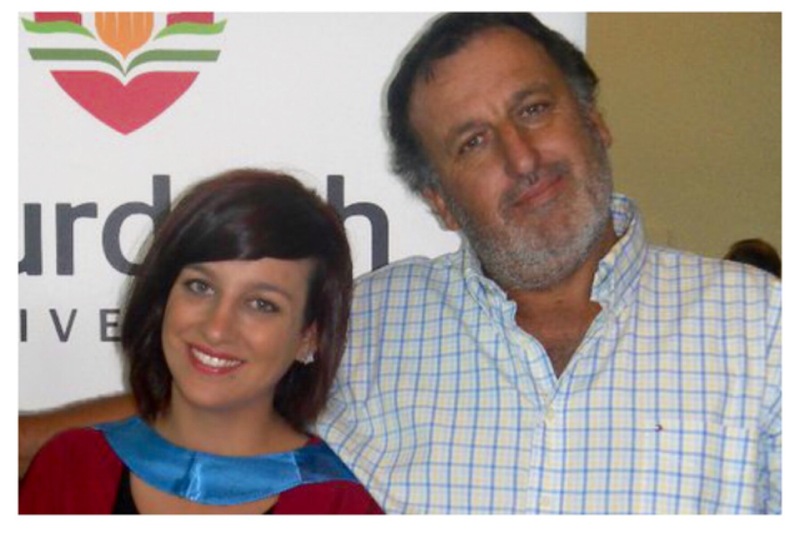 Father’s Day is fast approaching and my dad is one of those people who has just about everything! He is at a point in his life where he just goes out and buys whatever he wants, so he never has a “wish list” when it comes to special occasions. Dad is a bit of a motoring enthusiast. After much deliberation he went out and bought himself a vintage muscle car to restore and bring back to life. When we pestered him for a Father’s Day gift idea he decided he needed some pretty expensive car mats for the new beast. Just because you’ve got that sort of money Dad, doesn’t mean us kids do! 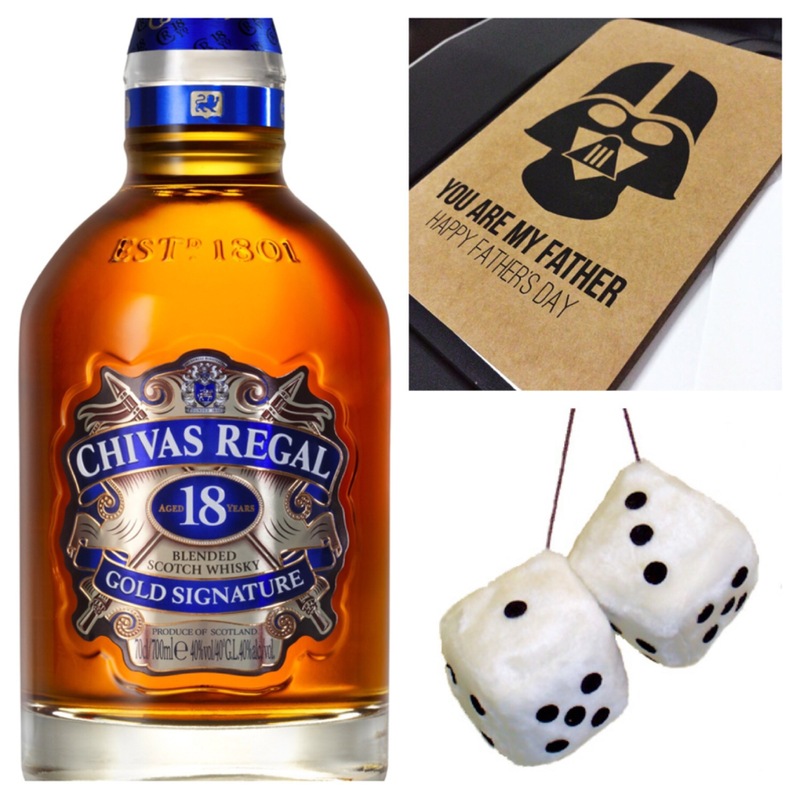 I’ve put together a quick guide of fun, reasonably priced Father’s Day gifts just in case you are in the same predicament as me! Rexona is one of those brands you know and trust, and I thought since Dad will be working on his new car every spare chance he gets he will obviously work up a sweat! 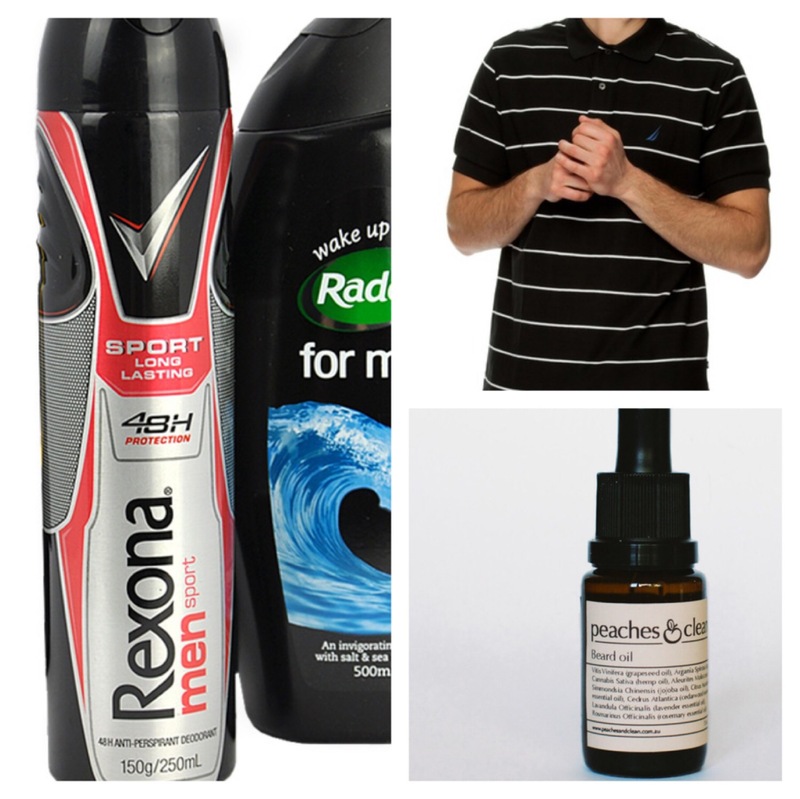 This pack is a goodie and features Rexona Men Sport Antiperspirant Deodorant for those sweaty moments, a cool gym bag and Radox For Men Shower Gel. Or if your dad is especially sweaty, the new Rexona Clinical for men provides all day assurance with added “stress sweat” protection (because I’m sure fixing a car can be stressful). E & I actually use the women’s version of the Rexona Clinical, and I always feel confident when I wear it. Even after a long day at work or a night out on the town I still feel fresh. We all know men can get pretty smelly and this is the perfect gift for a man who has everything, because you know he is going to use it! And I’m sure Mum will thank me for buying him deodorant, I know she’d prefer a fresh smelling husband to a stinky one. Stripes look good on everyone and my Dad sports a large collection of polo shirts. They are one of those designs that can go from day to night with ease. I love this classic print and it’d look great on him. If your dad is a hairy beast like mine this Beard Oil would make the perfect gift. The special blend moisturises the skin and helps prevent “beardruff”. It’s all organic and made locally in Fremantle so as well as helping your dad’s beard, you’re keeping it local! I’m not much of a scotch drinker but don’t they say “the older the better”? And eighteen years is a pretty long time for scotch to age, right? Post working on his new car Dad can sit in the garage with a drink and stare at his new toy, haha. Nerdy dad’s will get a real kick out of a card like this one. I think I spent about five minutes laughing at it! Etsy is a great place to find hand make wares. You could spend hours trolling through the millions of fantastic pieces, and they really do have something for everyone. Flashback time! You can’t drive an old school car without a pair of old school fluffy dice. I can’t see my Dad actually hanging these in his vehicle, but I’d like to see his face when he unwraps the gift! Whatever you do end up buying your dad on Father’s Day I’m sure he’ll love it! Or maybe you can make him something – it’s the thought that counts. Is your dad impossible to shop for? Sweet pic of you and your Daddy and some great ideas for Fathers Day. Perhaps you should buy some for the men in your house!